* % Daily Value (DV) is based on a 2,000 calorie diet. Your daily values may be higher or lower based on your calorie needs. Natural And Artificial Flavors, Citric Acid, Sucralose, Highly Branched Cyclic Dextrin, Silica (anti-caking). 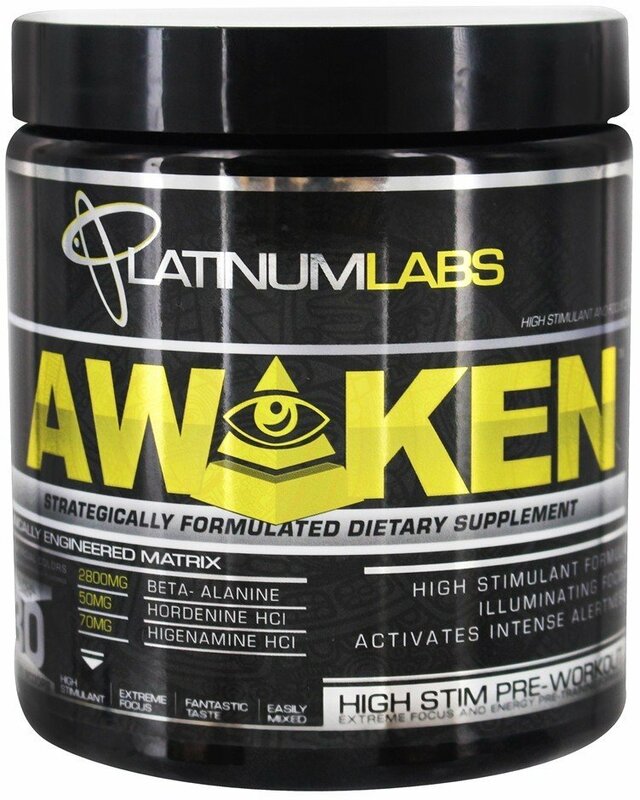 Recommended Adult Dosage: Take 1 scoop of Awaken™ with 8-12 ounces of water (dependent on your preferred taste) 20-30 minutes before your workout or training session. 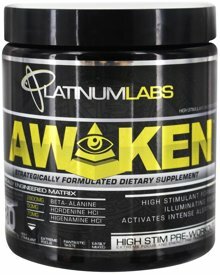 AWAKEN™ is a high stimulant and focus pre workout product, therefore: You should not use AWAKEN™ if being treated for high blood pressure, thyroid, stroke, any heart related condition, any disorder related to the kidney or liver or any psychiatric illness including but not limited to depression, anxiety, seizure disorders or any other mental health issue. AWAKEN™ should not be taken in conjunction with any medication AT ALL without first discussing with your doctor or medical professional. We recommend speaking with your Doctor before taking this product. This product may elevate heart rate and blood pressure and as such should not be used by people under 21 years of age. Performance assisting products such as this may increase uptake and aid in recovery causing increased muscle growth and athleticism when combined with an effective training program and calorie/nutrient controlled diet. This product may have ingredients banned by certain sporting federations and as such could cause a positive test result. Please check before use. DISCLAIMER: Taking this product is not recommended for pregnant or lactating women. Consumers who are pregnant or who may have become pregnant should consult with a doctor before taking this product. Do not take this product if breastfeeding. WARNING: KEEP OUT OF REACH OF CHILDREN.